You’re dissatisfied with your legal career. Your law firm is large and you’re just an anonymous worker bee there. You might wonder if relocating to practice law in another market might be a good idea. Relocating could be the best thing you could do for your legal career. Summary: Learn 9 reasons moving to another market as a law firm attorney is the ultimate way to get ahead in your career. Many attorneys believe that relocating within their existing markets is a good way to get ahead in their legal careers—it is. But relocating to a new market is often an even better decision. Over my career as a legal recruiter, I have become convinced that changing markets is one of the greatest secrets to getting ahead in the legal profession. This article contains two parts. First, I discuss why switching firms is a good way to get ahead. Second, I discuss why switching markets is an even better way to get ahead. Switching to a different law firm in your market is a good way to get ahead. There are several advantages to switching law firms that every attorney should understand. While it is not advisable to switch firms too often, this is often the only way to advance. Many of the most successful lawyers I know have moved law firms numerous times, and each move has made them much better off than they were before. In fact, when I speak with the heads of major American law firms on an ongoing basis, almost all are willing to entertain moving law firms if it advances their careers. It does not matter what law firm they are in. Most of the best lawyers are always looking. Have you considered moving law firms? What made you want to move? Many attorneys relocate markets because they want to get away from something in their pasts. I have seen people relocate to get away from ex-spouses, scandals, and other misfortunes. Regardless of your intent, once you switch firms, you are leaving your past behind where you formerly worked. While this may or may not be desirable to you, most attorneys have some amount of negative history at their firms, and it often reaches a point where they do not feel it is beneficial for them to have this history continue to haunt them. I am working with a few attorneys right now who need to leave because of their histories with their firms. In one instance, the conflict arose from a misunderstanding regarding whether or not the partner was supposed to approve something before it went out. The product was flawless and went out, and there was nothing wrong with it. Nevertheless, the partner was extremely upset and suddenly on the bad side of the associate who sent the work off to the client without it being approved. The partner told the associate they will never give work to that associate again. Without work from this partner, the associate is in serious trouble and thus needs to find a new place to work. Despite being an exceptional attorney, the associate has no choice but to move somewhere where this can be forgotten, and where the associate can start fresh. In another case, a talented attorney with whom I am working had the unfortunate experience of failing the bar exam twice—having never taken the time to study for it and continuing to work up until one week before the exam both times. As the graduate of an Ivy League law school, not passing the bar twice was devastating for the attorney. While the firm did not fire the attorney for this, the attorney understands that everyone in the firm knows about it and thinks poorly of the attorney for it. So this attorney also is looking for a new position to escape the bad vibes at the attorney’s current firm as a result of failing the bar exam twice. Some histories are simply too much to overcome. An attorney cannot realistically expect to advance after creating certain kinds of baggage. This baggage can involve all sorts of mistakes—affairs, drinking, work errors, lying, and other grave errors. Attorneys who make these errors can only get ahead by leaving and starting fresh somewhere else. All histories are not so bad, but even more benignly negative histories can derail an attorney’s career trajectory at a given firm. For example, an attorney may be pegged as a certain type of attorney early on and channeled into a certain practice area or role within the firm. This may result in an attorney only being given one type of work (that the attorney does not enjoy) because the law firm believes the attorney is good at this work, or not good enough to do anything else. Along these lines, I am working with an attorney now who is considered an outstanding writer of summary judgment motions at his firm: This is all they give him to do. Despite his protests, they just keep giving them to him. He wants to do depositions, go to court, and be a trial lawyer instead of sitting behind a desk all day long. He has a solid history with his firm, but is so excellent in the area of summary judgment motions that he will not be able to get other kinds of work and advance in the ways he desires as long as he stays with that firm. Have you ever left your past behind you in a new firm? If so, how did this work out for you? See Do Not Allow the Past to Limit Your Opportunities Today for more information. If you change law firms, you can create a new history and be the sort of person you want to be. When you arrive in a new place, the law firm will have no idea if you are serious, social, fun, detail-oriented, and so forth. You will have a blank slate and can portray yourself and be seen as you want to be seen—without the mistakes of the last law firm you worked at. I have seen attorneys go to new firms and become extremely hard workers when they never worked as hard before. I have seen other attorneys go to new firms and be considered superstars when they were not before. If you move firms and go somewhere new, you have the opportunity to create a new history for yourself that does not involve others' opinions of you that may have been formed when you were less experienced or made a mistake or series of mistakes. Many attorneys move because they want to create new histories once they know the rules of the game better. Have you seen an attorney create a new history at a new firm or have you done this? Share your experience. You may join a firm with an incompatible culture for you. The firm you join may not have the sort of work you want to do. Your new firm may not have enough work. Your firm may not have the opportunity for advancement. Your firm may be managed poorly. The firm may have misrepresented something to you during the interview stage that turned out to be different once you got there (hours, pay, mentorship, and so forth). Whatever the issues, many attorneys wind up in firms where they are unhappy. When you get out there and start interviewing and speaking with new firms, you have the opportunity to evaluate these firms with a different level of understanding than you may have had when you accepted your current position. This will enable you to choose a firm that more accurately matches what you are seeking. What makes you favor one firm or over another? What kind of firm do you prefer? If you switch firms, you can often advance your career by finding a new firm that values someone with your skills and experience in a manner that your old firm did not. Attorneys often advance their careers when switching firms by finding firms that have more work, stronger practice areas, and more opportunities than their current firms. In numerous instances in my career, I have moved associates who were stuck at their current firms as associates into partner roles at firms that were just as prestigious—but where the firm had more demand for someone like them. I have moved countless attorneys from firms where there was no work, or partnership opportunities, to firms where there was more than enough work and opportunities. I have moved countless partners who were undercompensated at their current firms to new firms that gave the partners far more support and compensation. In fact, undercompensated and inadequately compensated partners most often have no choice but to move to advance their careers when their firms become overly dependent on them and do not allocate money to them proportional to their contributions. If you have an interest in a particular practice area and your firm cannot attract enough work (or give you sophisticated enough work) in that area, often your only choice is to switch firms. If your firm does not have a strong overall reputation and you believe this is going to limit your future options, often your only choice is to switch firms. Often, the only way to advance your career is to move firms. Moving firms is one of the smartest things many attorneys can do to advance their careers—and something far few attorneys do, or do too late to be beneficial. If you have any doubts about your prospects at your current firm, moving law firms is often the answer. Have you ever moved firms to advance your career? What happened? If you are a young attorney, your law school and grades are no longer the criteria that the firm is using to hire you. As a lateral, the law firm is going to be most concerned with your practice area and how well-developed your skills are in this practice area. There are almost always going to be fewer people to compete with at the lateral level because the law firm will be recruiting and hiring people in specific practice areas. The more unique your practice area, the fewer people there will be to compete with. I have moved numerous attorneys into AmLaw 100 law firms who were working in small, unknown law firms (or just working for a solo practitioner), but who were marketable because they had gotten good skills in niche practice areas, or niche segments of major practice areas. If you are an attorney with portable business, the more business that you can get the easier it will become for you to move to a more prestigious law firm. I have seen attorneys start out as solo practitioners and end up moving to major American law firms after a few moves, as their books of business increased. Partners with significant clients can always move to better and better firms. As time goes by, there are going to be fewer and fewer people like you (whoever you are) and law firms will have a difficult time finding people like you if you become unique. You can move to more and more prestigious law firms the more time goes by. Have you ever moved to a more prestigious law firm? How did you do it? Switching markets is an even better way to get ahead than simply switching firms in an existing market. When you switch markets, you are dramatically increasing your odds of getting ahead because you typically have access to more opportunities and you have more opportunities to position yourself for advancement. In fact, no matter how you slice it, moving markets is almost always the best sort of move for your legal career. In my experience, attorneys who switch markets typically receive more offers, from more firms, than attorneys who just search within their existing markets. As far as I am concerned, if an attorney is switching firms because the attorney is ambitious and trying to get ahead, he or she should look at as many markets as possible. If the attorney grew up in a certain area or has family in an area, or has a spouse or significant other who has connections to a given area, the attorney should almost always attempt to relocate to that area as part of his or her search. You may be moving firms because you are not doing well at your existing firm. Attorneys who get bad reviews, are unable to get enough work, and have problems may be moving for that reason. Law firms want to avoid these sorts of people. If you are relocating in your existing market, law firms that consider you will wonder if you fall into this category. You may have been fired or asked to leave your existing firm. Law firms want to avoid people who have been fired or asked to leave because they believe they will have problems at their new firms. 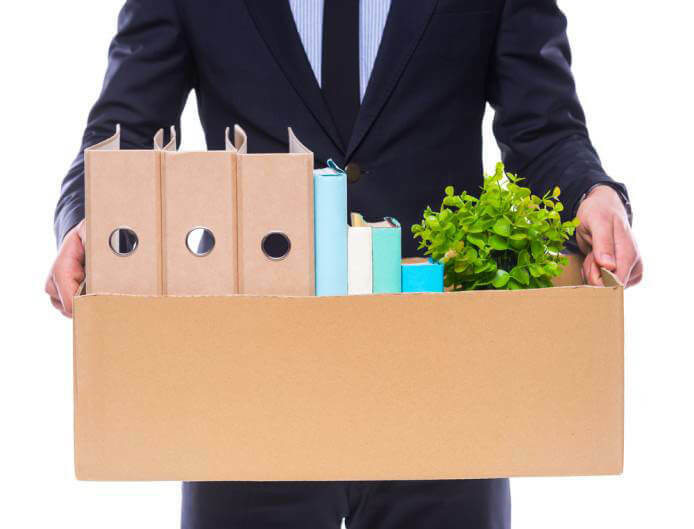 Many times, law firms wait several weeks to make offers to attorneys moving within their existing markets so they can make sure they were not fired, or asked to leave, before hiring them. You may be moving firms because you are not getting along with people at your existing firm. Attorneys who have issues getting along with other people at one firm may have the same problems at their next firms. Firms will want to avoid you for this reason. You are moving firms because you are unhappy and may be unhappy wherever you go. Some attorneys are just unhappy practicing law or working for other people. They move firms several times while figuring this out, at each subsequent employer's expense. Law firms want to avoid these sorts of attorneys. The law firm does not want to hire people from a firm that it works with on a variety of matters. If you are moving locally, there are some law firms that may avoid hiring you altogether because they do not want to upset attorneys they know (and may be friends with) at a firm in the same location. While attorneys are excellent at not talking about other attorneys applying to their firm, and hold confidences extremely well, they never want to upset people they may be cooperating with on other matters. With fewer suspicions about your reasons for moving, law firms just evaluate you and your background and whether or not you are a good fit for their position. In countless episodes throughout my career, I have seen lesser-qualified candidates from another state get positions inside of law firms when purely local candidates did not get offers. There is no other explanation I can see except that law firms seem to respect and like candidates who are relocating over local candidates. I believe the only conceivable reason for this is because they have fewer questions about the reasons why the candidate is relocating. Have you ever relocated to another market? How was your experience? If you are relocating to a market that is not huge (unlike New York City, for example, which is hyper-efficient and in which large firms always seem to know their hiring needs), you can almost always apply to the majority of good firms in the area. When you are relocating, you are announcing: "I'm coming here! Anyone interested?" This is what firms expect you to do. They want to know you are relocating into their market. They are going to be available to consider you, because they know they may only have one shot. In contrast, this sort of approach is almost always inappropriate if you are already in the market. It looks desperate, and law firms expect to hear from you (in most cases) only when they have an opening. The approach that you use can be much different when you are introducing yourself to a new market. Because you can apply to more places, and because you are applying to firms that do not necessarily have openings, your odds of getting hired increase dramatically. You will almost always have more interviews and speak to more firms than if you were already in the market. Moreover, when you are relocating, most of the firms likely will never have heard from you or seen you before, and you will have no record with them whatsoever. What is your opinion of smaller legal markets? If You Are Moving to a Larger Market from a Smaller Market, Law Firms Will Like You Because They Will Assume You Are Hungry and Eager to Get Ahead and Not Yet "Tainted." Law firms in places like New York, Chicago, Boston, Palo Alto, Seattle, Philadelphia, Houston, and other major markets seem to “eat up” attorneys from smaller markets and like them. I believe that the reason attorneys from smaller markets do so well in interviews and get jobs in these markets has something to do with the fact that attorneys from smaller markets are "hungry" and view working in a major market in a very positive light. They communicate this to firms when they are interviewing, and law firms pick up on their enthusiasm. In one three-month period, I placed two women from small firms in Indiana into major Silicon Valley firms doing real estate and litigation-related work. The attorneys both attended local law schools. Over a six-month period, I placed three attorneys from Detroit in major law firms in New York and Chicago. The attorneys attended local Detroit law schools (not the University of Michigan). These placements happened to attorneys who normally would not be employable in firms of that caliber in those markets—their law schools were not good enough, their grades were not good enough, and their experience was at relatively unknown firms. What is going on? The only conclusion I can reach from this information is that the law firms wanted “bright eyed and bushy tailed” attorneys who were willing to work hard and who were impressed with the “bright lights and big cities” they were moving into. However, there is also something more going on as well. I think that the law firms want to hire people who will be dependent on them and need them. They want attorneys who are not going to take them for granted and who will work hard, in part because they lack other options. I have nothing against schools like the University of Detroit, or the University of Indiana. What I do know is that if these attorneys tried to get into top New York or California firms right out of law school, it would have been next to impossible for them. Lateraling markets opens up a whole new world of opportunity. Have you seen attorneys from small markets make it in bigger markets? How did they do it? When you are moving firms within your existing market, you need to provide reasons why you do not like your current firm, or why it is not a good fit. This, naturally, makes the firm you are interviewing with cautious about hiring you because (1) you are obviously unhappy at your existing firm and (2) they are worried you might be unhappy working for them too. You become someone who is a risk to hire. They will debate you and try and understand your true motivations for moving. If you say one wrong thing, or they do not believe your story, you will not get a job. Law firms are risk averse because they are made up of attorneys. They do not want to hire damaged goods. When you are moving markets, all you need to say about your reasons for relocating is that you want to work in the market you are interviewing in—because you have family there, a connection and so forth. You do not need to get into discussions about why there are problems with your current firm, not enough work, issues with the people, issues with the kind of work you are being assigned—and so forth. Because you can go into interviews without saying anything negative about your current firm (that may or may not call your performance into question), everything will go much more smoothly for you. You are more likely to get a job. How do you prepare for a law firm interview? How to Interview in a Different City without Risking Your Current Job? When you are moving markets, you have the ability to choose a market that matches the sort of person you are. You will be happy to the extent that you are working and living in a place that reflects your values as a person. At the moment, I am working with attorneys in the Bay Area, New York, Texas, Chicago, Ohio, France, Germany, South Carolina, and Philadelphia who are trying to get out of these markets because they are unhappy and the markets do not match their goals and interests. The attorney in the Bay Area does not like the culture and feels it is too expensive and that the people are fake. The attorney wants to be in New York, where the attorney feels the people are more genuine. The attorney in New York hates the fast-paced nature of the city and wants to be in Atlanta, where things are more easy-going. The attorney in Texas is not from Texas originally. This attorney feels out of place and wants to return home to Chicago. The attorney in Chicago feels that unless you are from the Midwest and know people there, it is impossible to meet people and fit in. This attorney wants to go home to Colorado. The attorney in Ohio wants to go to Washington, DC, where the attorney feels people are more academic and cultured. The attorney in France feels “taxed out of existence” and wants to return to New York, where the attorney is from. The attorney in Germany wants to move to another American firm in London, where people are less rigid. The attorney in South Carolina feels that it is difficult to meet people because everyone in the town she is working in grew up together and have known each other and been friends since high school. She wants to relocate to a larger, more cosmopolitan market. The attorney in Philadelphia wants to relocate with his wife to Denver because they are outdoors-types and want to work and live somewhere where they can spend time outdoors. The point is that everyone has reasons for moving areas and being in different markets. Culturally, you may belong in a different market and with different types of people who make you happier. You can do this by relocating. If you could live anywhere, where would you prefer to live and work? See Geography and the Job Search for more information. View current opportunities in major legal markets on BCG Attorney Search here. Because you can speak to so many firms when you relocate (without the firms even necessarily having openings), you have the ability to evaluate a wide variety of places and choose the sort of firm that you feel is the best match for you. When you are relocating firms in your existing market, you are going to be limited to firms with openings. Having the ability to evaluate a wide variety of firms will give you the ability to make the best, most well-reasoned decision. Do you want to stay with your current firm for the long run? Why or why not? If you relocate within your existing market, you will come across attorneys you practiced with in the past. While it is not considered the right thing to do if you had a bad experience at your prior firm—attorneys talk, and this may follow you to your new firm. This is never a positive thing, and it is often only avoided by relocating markets. This is a sensitive topic, and I hate to tread here, but I have seen numerous examples over the years where someone’s history followed that person to a new firm when he or she relocated to another firm in the same city. Not too long ago, I was working with an attorney in Wisconsin, and he found a new position with a well-respected firm in the city. He had left his prior law firm after making a serious procedural mistake on an assignment that was serious but was corrected. He was less than one month into his new job when his new employer found out about this because someone said something to an attorney there at an informal social gathering. The new firm let him go because they felt they would look bad to the other firm and that this could be used against them when they both pursued the same clients. This was tragic and stupid, but this sort of thing happens all the time. I have also seen attorneys "blackballed" in a city after losing jobs. While a job search is kept confidential by the interviewing firm if an attorney is employed (it is considered "crass" and almost unheard of for attorneys to disturb confidentiality when an attorney is employed), if the attorney is not working then frequently the firm that is interested in the attorney will contact attorneys they know at the former firm. In most cities, attorneys know other attorneys at most firms and the former firm will give a bad recommendation. This sort of thing only occurs, though, when attorneys know each other. If you are relocating markets, it is much less likely to occur, of course. Have you ever made a big mistake as an attorney? What happened? Another nice thing about relocating is that you may have gotten very good experience at your existing firm that you simply would not have gotten in the market you are relocating to. Attorneys from major markets often relocate to smaller ones with skills that are not common in the markets they are relocating to. An attorney trained in a major market, or with good experience in a narrow practice area, can go into a new market and be a star. When it comes to transactional attorneys in particular (corporate, patent, real estate, ERISA, employee benefits) and attorneys in niche practice areas (food and drug law, immigration, bankruptcy litigation, or healthcare, for example) law firms in many markets just cannot find the people with the skills and training to do the work. It is very easy for attorneys with rare skills to get positions when they are moving to markets where there are not enough attorneys with their skills to do the work. Moving markets if you have unique skills and training can change your life and career. Whether it is moving from New York City to a smaller market, or moving from a smaller market to a major market like New York City, your career can improve dramatically by moving. Not too long ago, I placed an unemployed securities attorney trained in New York in a partner position with a major firm in Seattle that needed someone exactly like him. They did not have anyone with his level of expertise in the market. I placed an unemployed ERISA attorney in the Midwest with a major law firm in Texas as a partner. They did not have anyone with her expertise in the market. I placed an employee benefits associate from a smaller law firm in the Midwest into a major New York City law firm. The demand for attorneys in this “hot” practice area was such that it was “white hot” and there were not enough people like him in the market. On an ongoing basis, I seem to place attorneys from major New York City law firms in firms in Rochester, Albany, and Syracuse. These attorneys are warmly welcomed by the firms in these new markets. They are able to settle down, raise families comfortably, have access to good schools, and purchase homes with yards that are no more than 20 minutes from work. 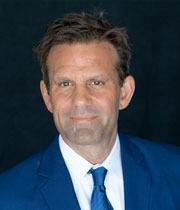 Week after week and month after month, I see lives changed for attorneys who open themselves up to relocating markets. It is worth it. It is an incredible way to catapult your career forward and get whatever it is you are seeking. How much experience do you have in your practice area compared to others around you? What difference will this make in your career? When a firm is willing to pay the money to move you from one part of the country to another, this means they have the work, are confident they will have the work, like you, are confident about your future with them, and need you. Law firms do not relocate people from one part of the country to another on a whim: They only do so when they have a lot of confidence in you and their future as well. While this is far from "employment security," it is a sign that you have found someplace where you are wanted and needed. Have you ever had your moving expenses paid by a law firm? Did you ask for this or did they offer it to you? Traveling for Interviews – Who Should Pay? As I was writing this, I started thinking about whether or not the bar exam mattered that much for candidates relocating. Of all the states out there, the only real exception to the advantage of relocating was California—if the attorney did not have the bar exam—because the bar in California is so difficult and so many people fail. Then, however, I started to think of all of the instances where I have placed people (at least one or two per month over the past few decades) in California without the bar exam. Does the rule that it is easier to move locations apply to California? The more I thought about it, the more I decided on a new rule: It is just as easy to get a position in California if you have the bar than if you do not have the bar. Moving firms can be a very good career move that will help you get ahead. Even more helpful is relocating markets. In my career as a recruiter, I have seen more "miracles" and careers turned around when attorneys relocated markets than I can count. A new history and new opportunities await those who relocate markets. If you could relocate to any market out there, which one would you pick and why? Why is getting specialized skills so important as an attorney, especially when relocating or moving? How many moves have you made since starting out as an attorney?